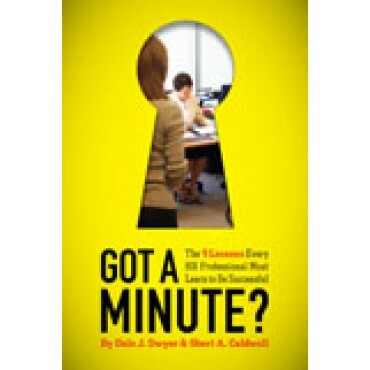 When I received a review copy for Got a Minute: The 9 Lessons Every HR Professional Must Learn to be Successful, I had no idea I would enjoy it as much as I did. With dozens of real, personal stories embedded throughout the book that will make you laugh with delight and shake your head in disgust, this great book is definitely written specifically for HR pros. I encourage people to read books often. If you read a book and get one good, solid takeaway to make you a better person/manager/employee, then it was worth the investment. what stories have you heard from others in this organization that best represents what we stand for (hint: these are your culture legends)? what do we celebrate here that captures the best part of this company? what language or jargon do we use here for which an outsider would have no clue to its meaning? walk around your organization and pretend you are a set designer for a movie; what messages are conveyed by what you see (dress, behaviors, decorations, etc.)? Are there competing messages, or does it convey an overall general message? using all the information you gather, make a list or storyboard of your organization’s culture. In your regular new employee orientation, invite the new employees to walk around for a day or two and then come back and share their perceptions of what they saw and heard. Then share the storyboard. conduct “stay” interviews at 90 days. Ask if the managers or company are doing anything that might cause them to leave due to culture-related issues. It’s a good book and a fairly quick read. The longest part will be reading funny HR blunders and having to share those with your coworkers… Click here if you would like to purchase the book. Enjoy! This book takes readers through the surprisingly common, yet secretive, world of HR with regard to employee relations and the “crazy” side of HR. This entry was posted in General and tagged Book Review, Culture on June 6, 2012 by Ben.